Catering Service | Mobile Alabama |Chef Rob & co. 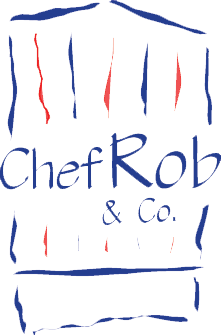 Chef Rob & Co. is the fresh alternative to elegant or casual catering on the Gulf Coast! As the only chef-owned catering business in Mobile, AL, Executive Chef Rob Stephens will show you what sets us apart from the rest. Don’t resort to lack luster banquet companies who serve mediocre fare. We specialize in amazing cuisine, service, and professionalism with a personalized touch for your special event.Our company selects the freshest ingredients, while keeping it simple, and producing a quality dish that your guests will enjoy time and time again. If you have an upcoming affair, delight your guests with a different approach. Contact Chef Rob & Co. today and ensure that your next corporate event, celebration, or wedding is extraordinary and memorable! © 2019 Chef Rob & Co.